The United States Customs and Border Protection agency arrested a dangerous illegal alien and member of the notorious "18th Street Gang" in Arizona on Tuesday evening, according to a press release. 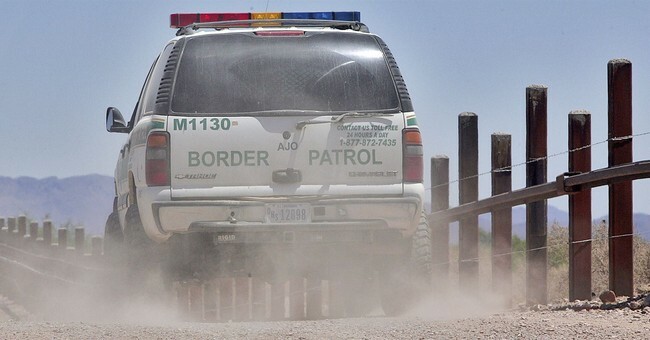 Arizona CBP reports that "51-year-old Hector Gustavo Montoya, a member of the dangerous 18th Street gang in Los Angeles," was apprehended this week near Nogales while agents were patrolling the border. Montoya has been arrested by American authorities on numerous occasions, "most recently in 2016 when he was convicted for drug smuggling offenses. He served a 24-month prison sentence for that conviction and was removed from the country after confinement." Montoya has an illustrious history with repeated illegal entry into the country. In what some politicians may describe as "an act of love," the 18th street gang member has been deported from America "more than 10 times for immigration violations dating back to 1993, as well as multiple arrests for crimes committed in California." Montoya hails from Honduras and will be held in custody by federal authorities. CBP has previously dealt with 18th Street gang members who use America's porous southern border as a means of gaining access into the country. During July 2018, CBP arrested a thug from this group who entered into the country separately while posing as a migrant seeking refuge with his child. That same week of that arrest, agents also caught a Salvadoran national crossing the border who also belonged to the gang. Montoya's arrest comes as President Donald J. Trump and other Republicans continue to demand funding for a border wall to impede the flow of violent illegal aliens.